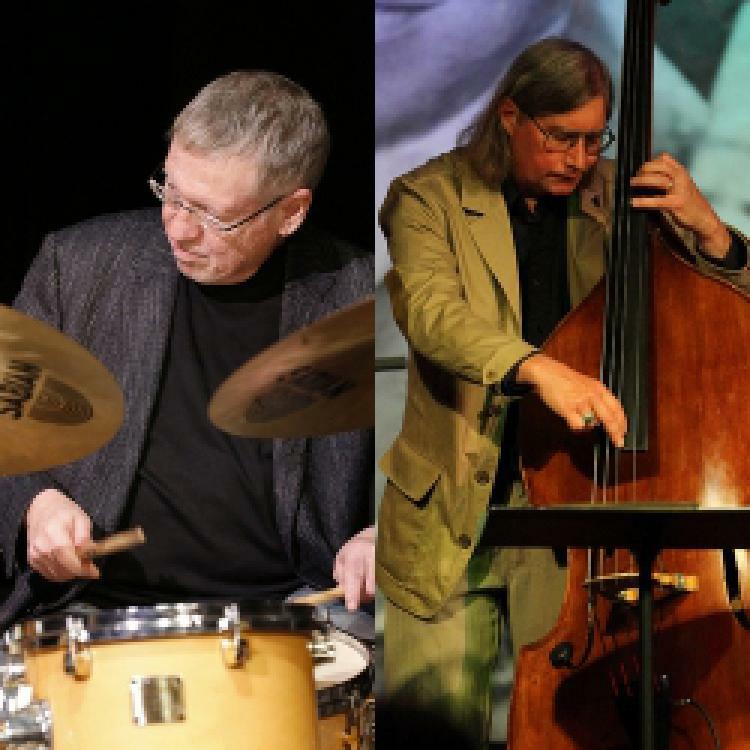 North Central College presents Revenge of the Rhythm Section with Bassist Kelly Sill and Drummer Jack Mouse, Friday March 29, 8pm in Madden Theatre. Mouse began playing at age 4 and by his late teens was already performing with such musical greats as Tex Beneke, Ralph Flanagan, Buddy Morrow, "Peanuts" Hucko and Red Norvo. Upon graduating from college, he spent three years as featured soloist with the Falconaires, the official jazz ensemble of the U.S. Air Force Academy. The Jack Mouse Group's 2012 CD "Range of Motion" (Origin Records), featuring his original compositions,received extensive international radio airplay and garnered many rave reviews from All About Jazz: "A sure-handed, high energy drummer who dazzles with brushes. A splendid album, well-written and quarterbacked by Mouse...Thumb up!" 2014 brought the debut of the Tall Grass Records label established by Jack and his wife, jazz vocalist Janice Borla. Mouse's multi-faceted career has been the subject of recent interviews in Modern Drummer and Jazz Improv magazines. He has authored articles for Percussive Notes and the IAJEIllinois Newsletter. In 2005 he was a featured artist during the first online Virtual Percussion Festival presented at the University of Manitoba by the ALIVE Project (Accessible Live Internet Video Education). Sill has worked for more than 30 years in the Chicago area as a house bassist for Rick's Cafe Americain, George's, The Jazz Showcase, Pop's and The Green Mill. Concert venues include the Chicago Jazz Festival, Ravinia, the Red Sea Jazz Festival, the Elkhart Jazz Festival and Orchestra Hall (Symphony Center) in Chicago. Sill has also performed with a long list of big names in the industry. This year a "Question/Answer" session will follow each concert to give audiences an opportunity to engage directly with the featured artists. This series is co-presented by Flashpoint Creative Arts, a nonprofit organization founded by vocalist Janice Borla and drummer Jack Mouse, promoting improvisation as an invaluable life skill and presenting innovative artistic and educational experiences meant to draw people into the improvisatory process.